Have a favorite recipe that you'd like to share? Please submit it below. Please include all ingredients and quantities as well as detailed instructions. 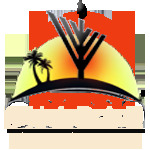 I would like to receive news and updates from Chabad of Coral Springs by email.